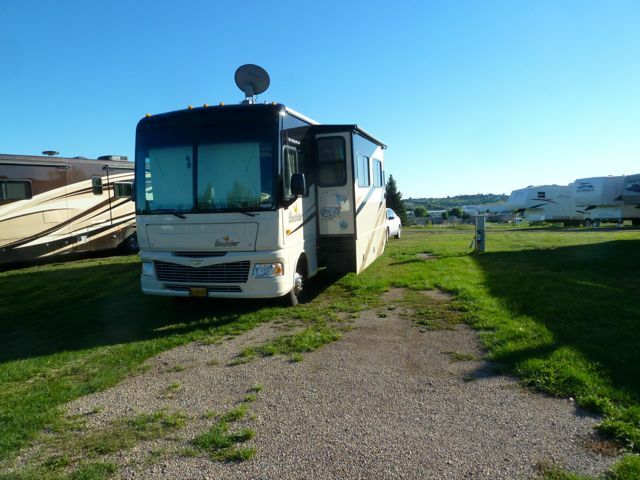 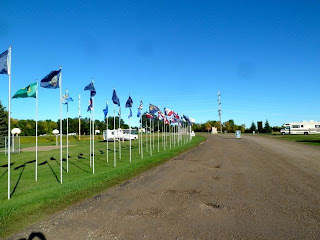 We arrived yesterday at the KOA in Bismarck ND in a driving rain. 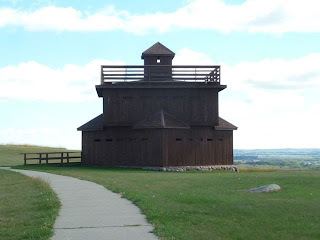 Fortunately it was only a 3 hour drive from Casselton. 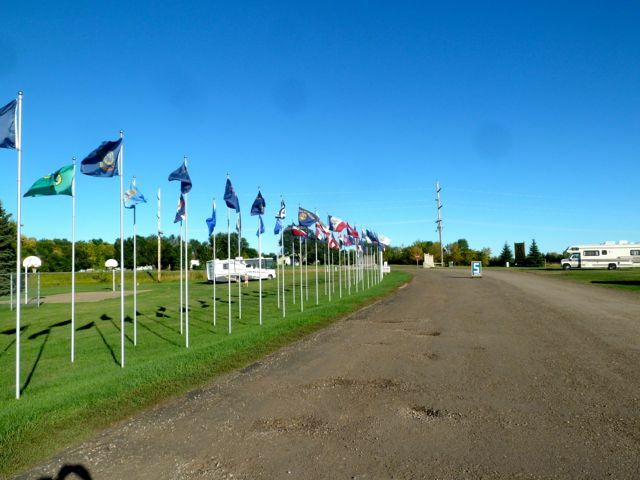 We will be here until the 19th when we leave for Minot. 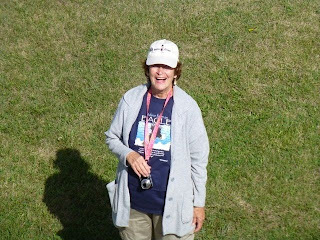 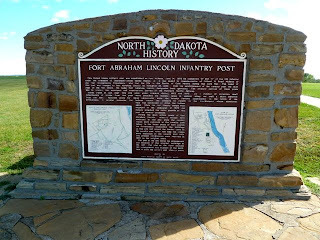 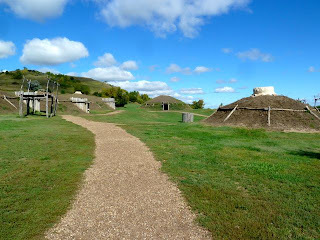 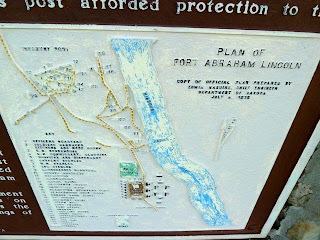 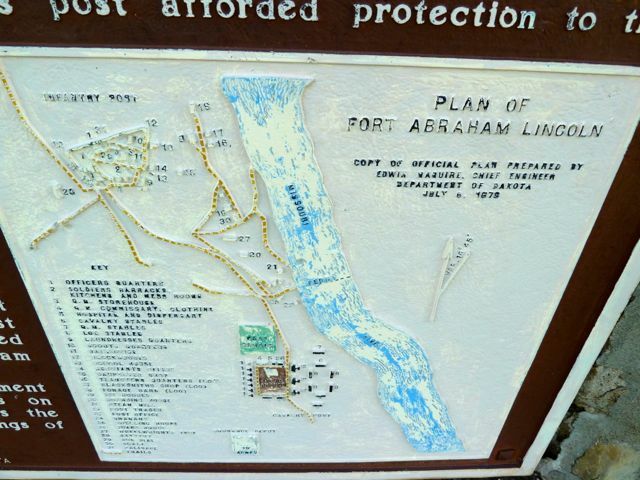 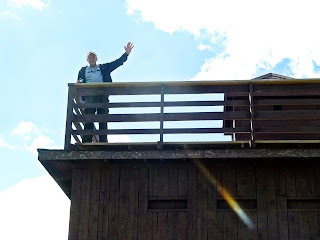 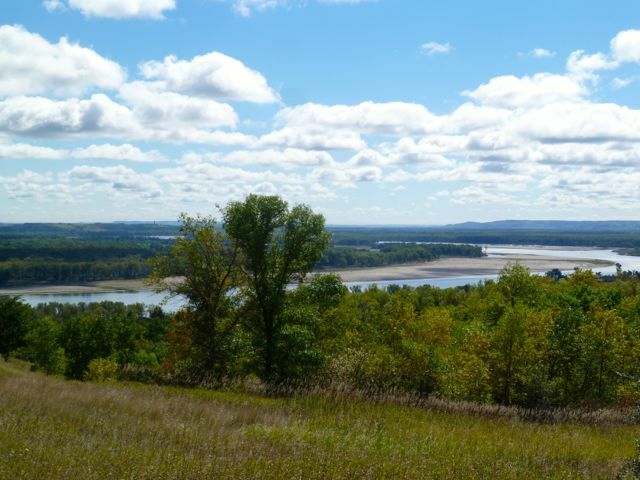 Today we awoke to a beautiful day and perfect for touring Fort Abraham Lincoln State Park. 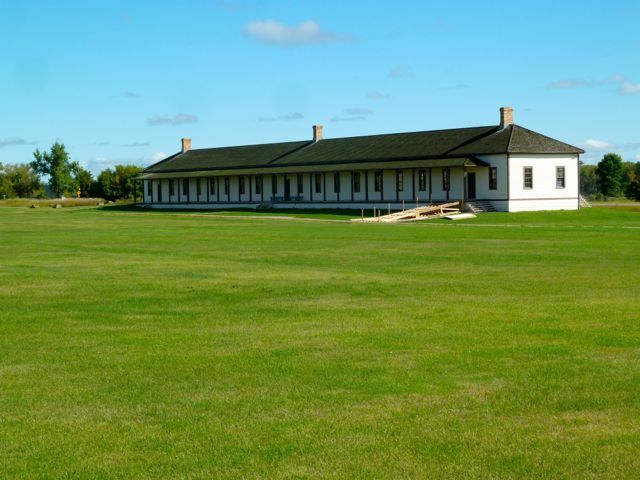 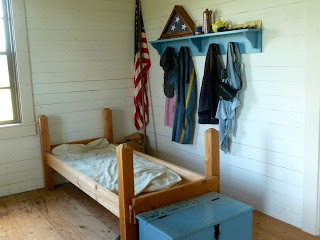 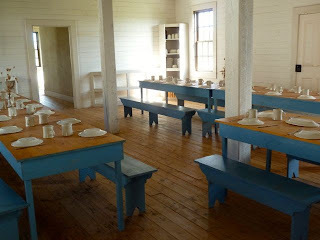 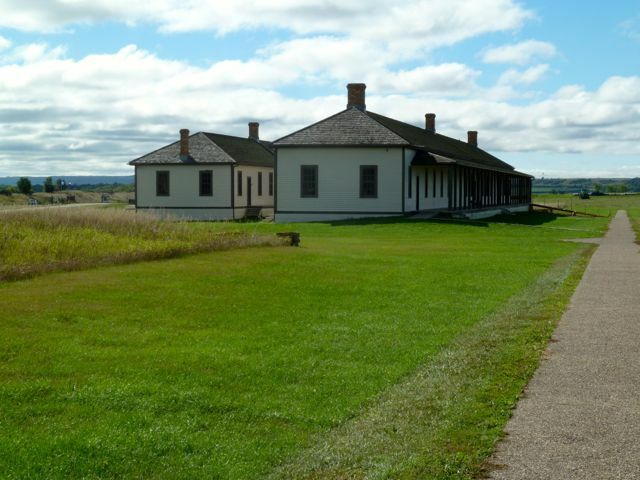 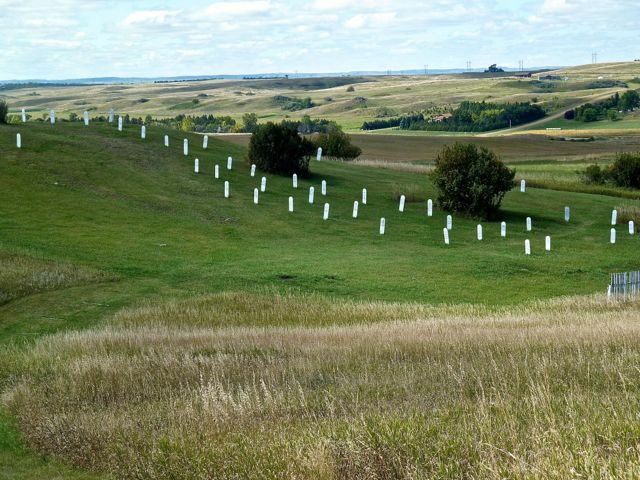 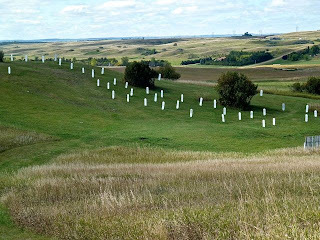 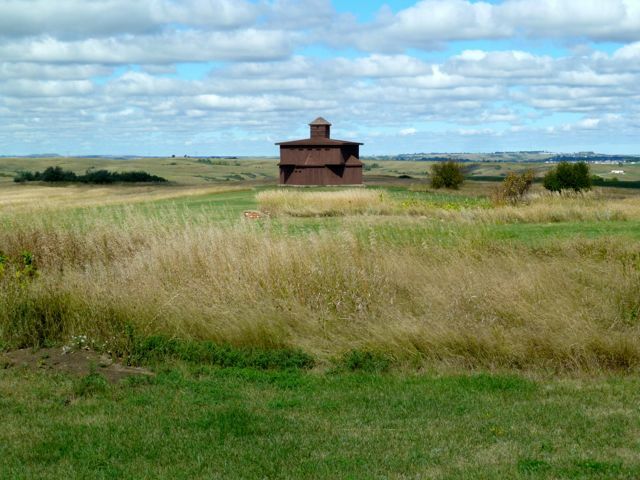 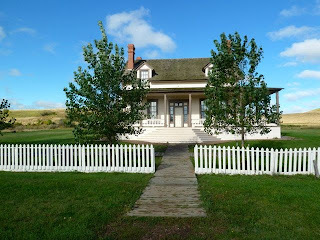 The park is only around 10 miles south and features the reconstructed Custer House and several buildings from the Cavalry fort and blockhouses from the Infantry fort up on the hill. 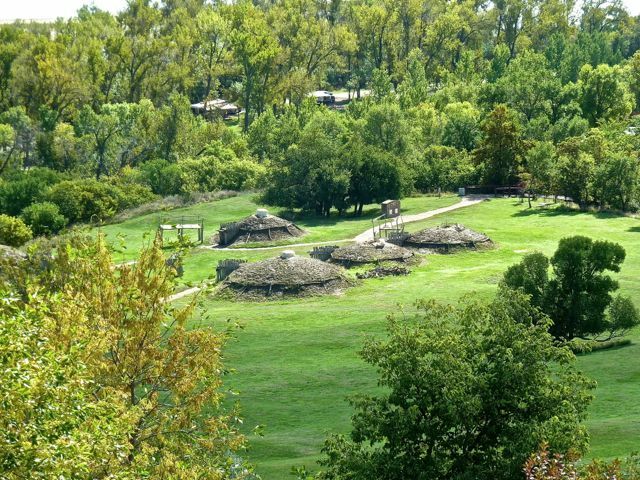 Also in the park is the "On a Slant" Mindan Village, campground, hiking trails. 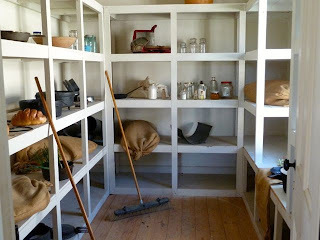 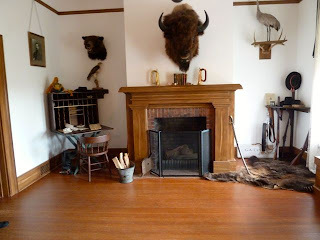 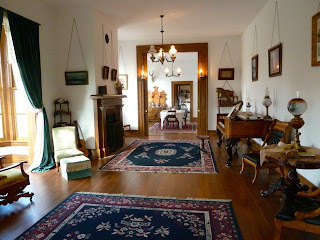 The Custer House is only open for guided tour and we had a very informative guide. 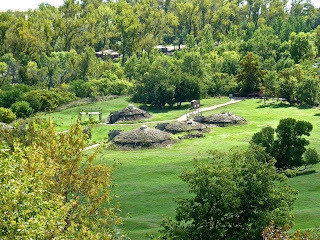 The park is rich in military and Native American history. 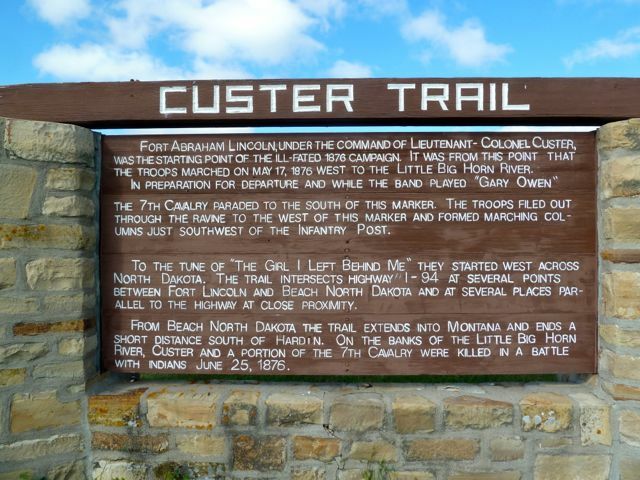 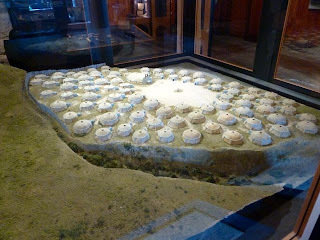 It was from this fort that Custer led the 7th cavalry to the battle at Little Big Horn in 1876. 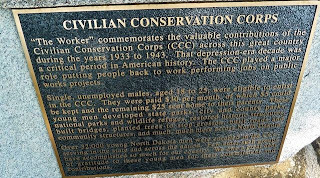 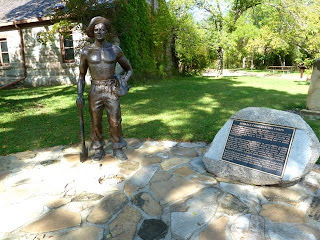 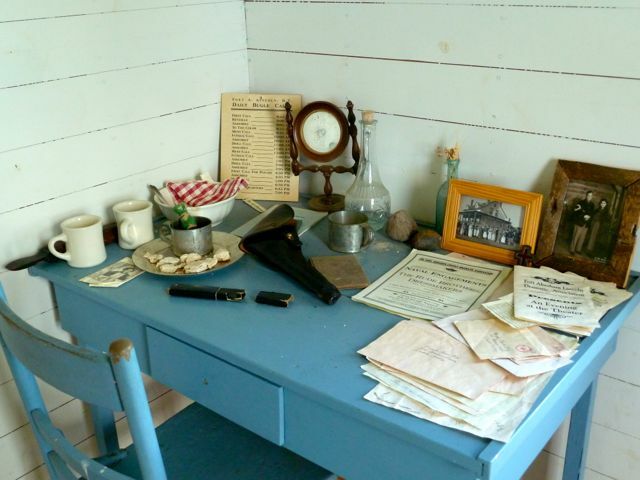 The CCC was very instrumental in rebuilding the forts and Indian village during the 1930's. 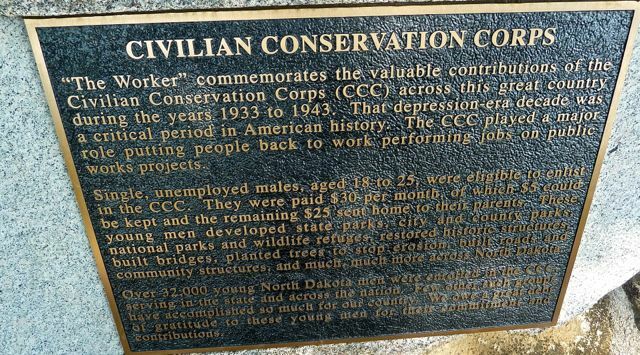 They were young men between ages of 18-24 and were paid $25/month of which they could keep $5 and send the rest home. 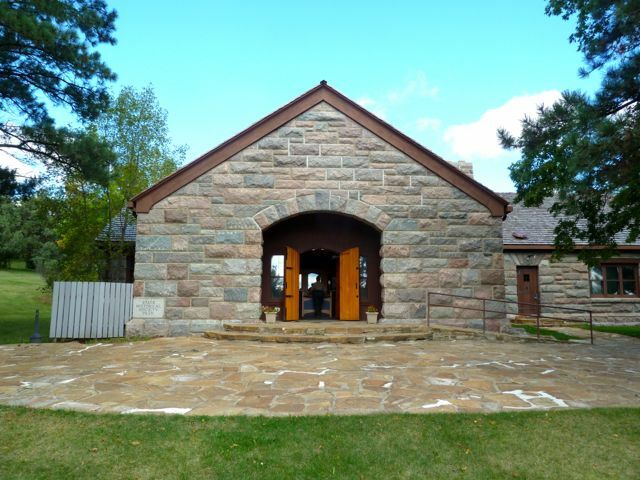 They also built the Visitor Center,laid cornerstones for buildings destroyed after the fort closed in 1891. 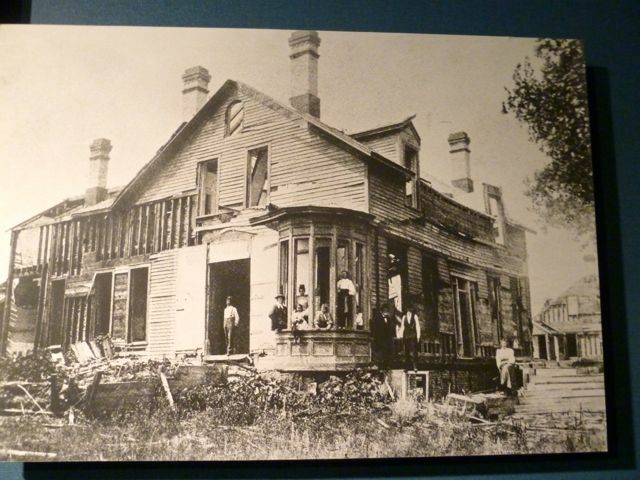 Among these was the rebuilding of the Custer House that had been dismantled for the wood for settler's homes. 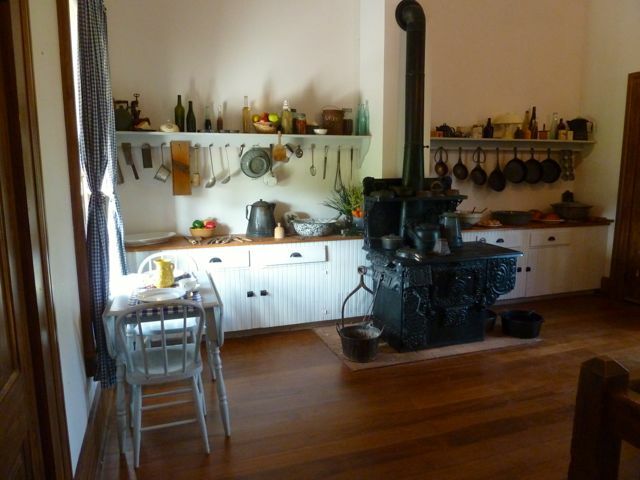 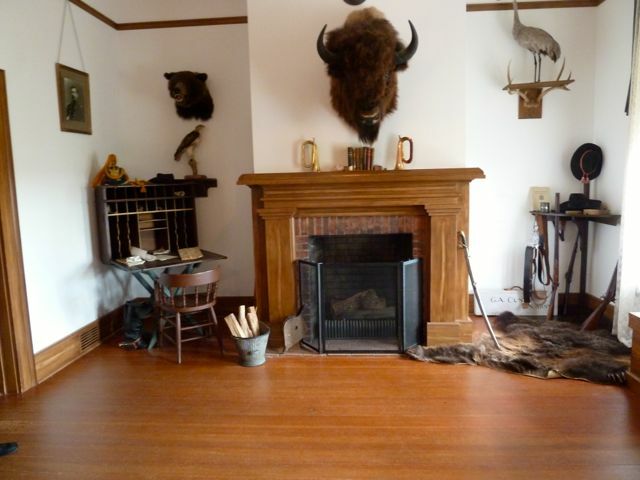 The original house was destroyed by a fireplace fire and Custer rebuilt with certain specifications to his liking. 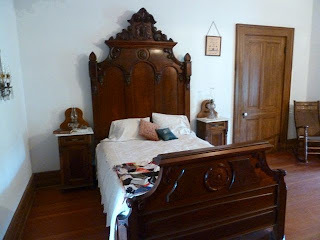 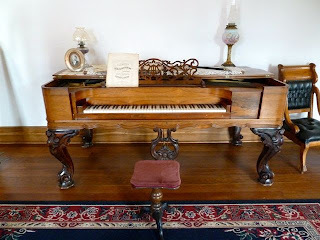 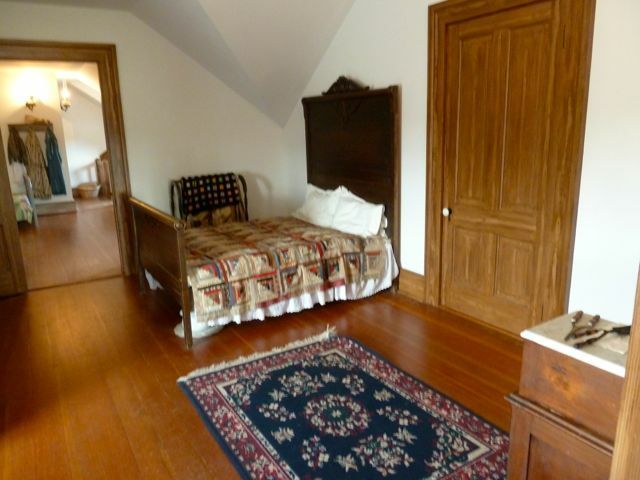 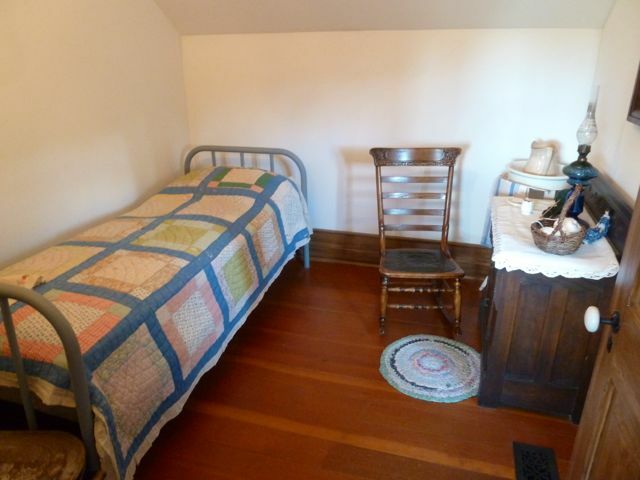 Furnishings in the house are true to the period and some are original to the home. On the Infantry post three blockhouses were reconstructed with signage on area that once housed buildings. 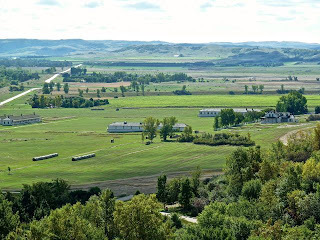 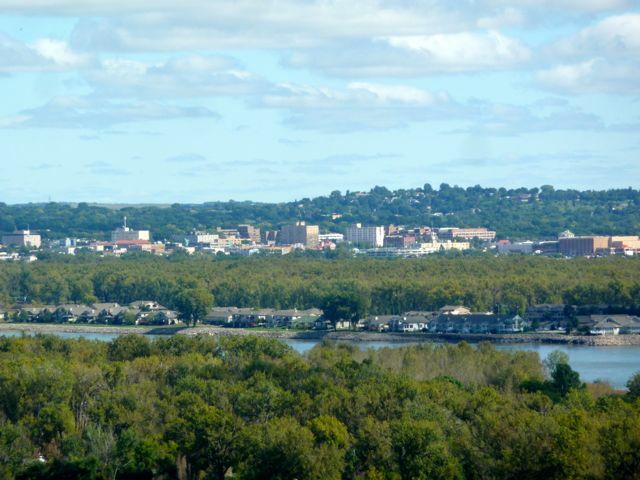 The view from atop the Infantry post is beautiful of the surrounding area and Missouri River. 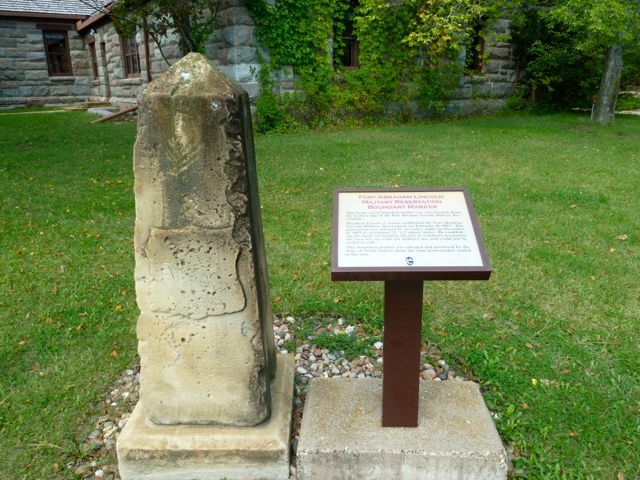 The infantry post was named Fort McKeen. 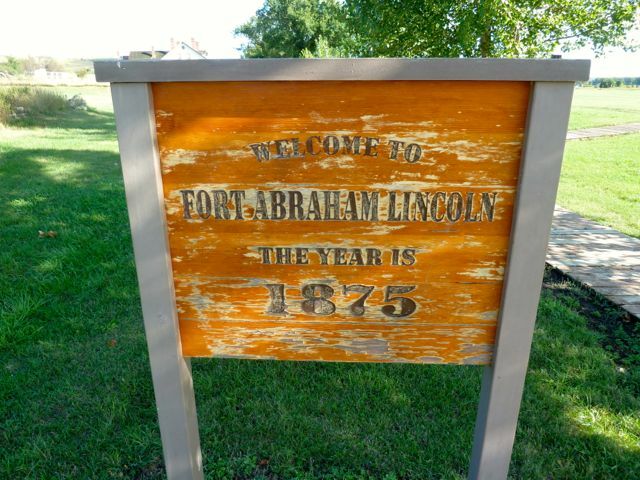 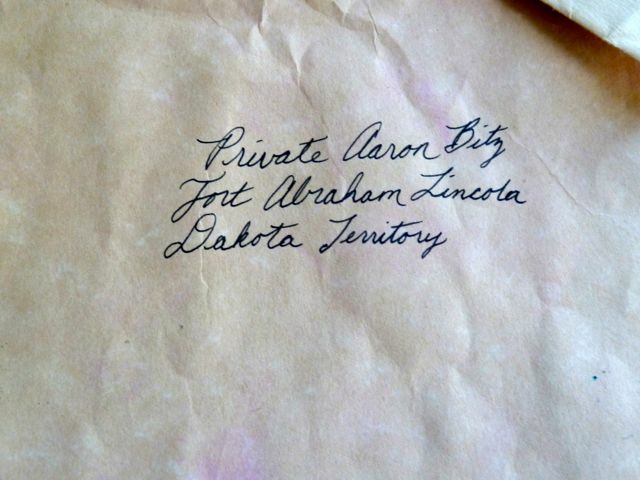 The name was changed to Fort Abraham Lincoln in 1872. 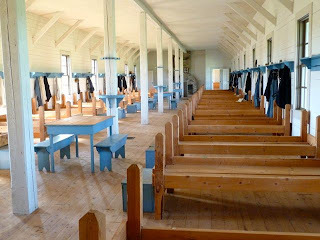 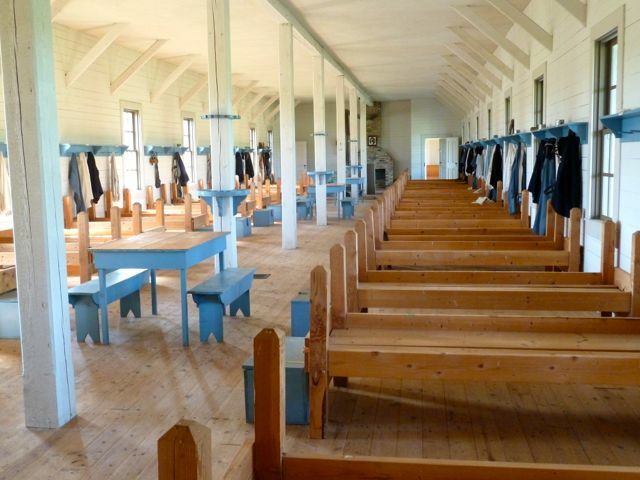 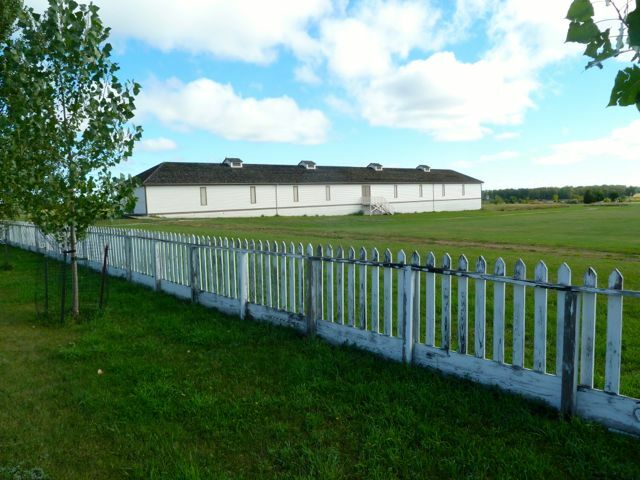 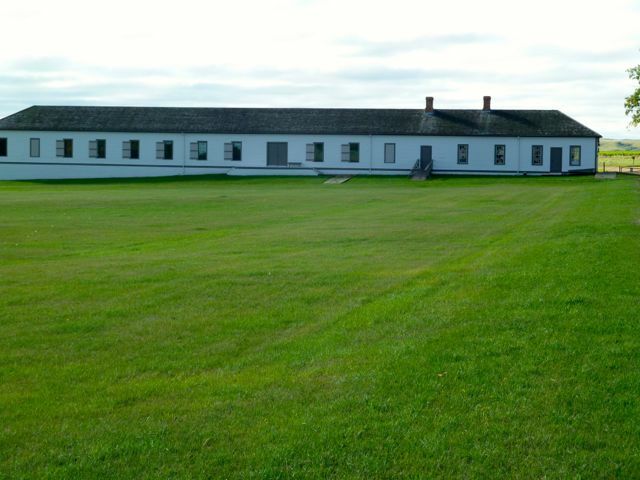 The reconstructed buildings on the Cavalry fort are the granary,commissary,barracks and stables. 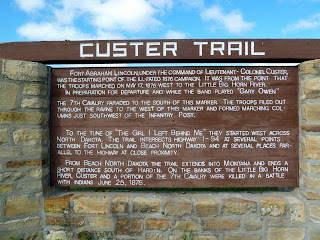 Custer served here as commander from 1873 until 1876. 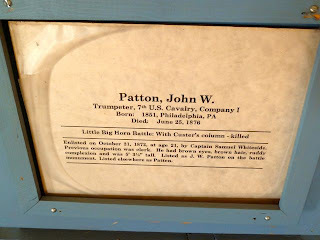 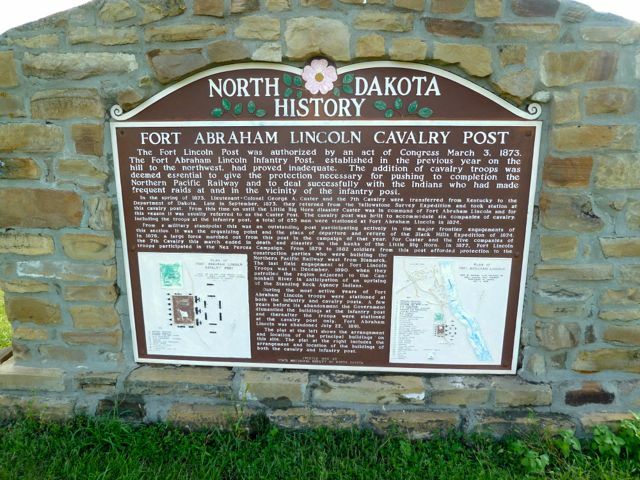 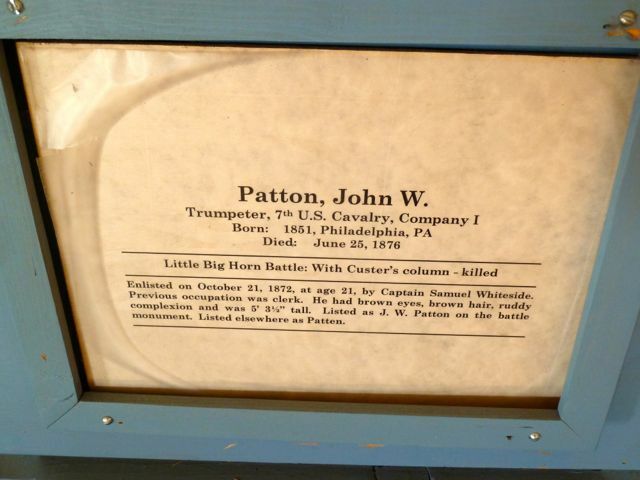 The fort remained the headquarters for the 7th cavalry until 1882 when troops were transferred to Fort Meade in South Dakota. 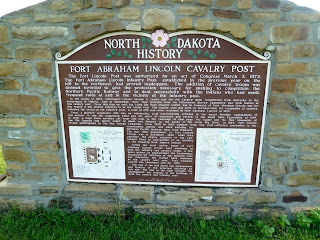 The fort was established to provide protection for the Northern Pacific Railroad.Upon completion of the railroad the fort no longer served its purpose and was abandoned in 1891. 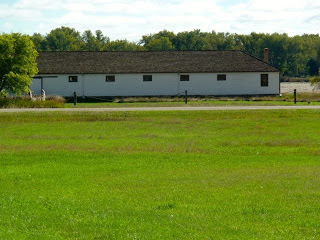 Many of the 78 buildings were dismantled by area settlers and materials used for construction of their homes and farms. 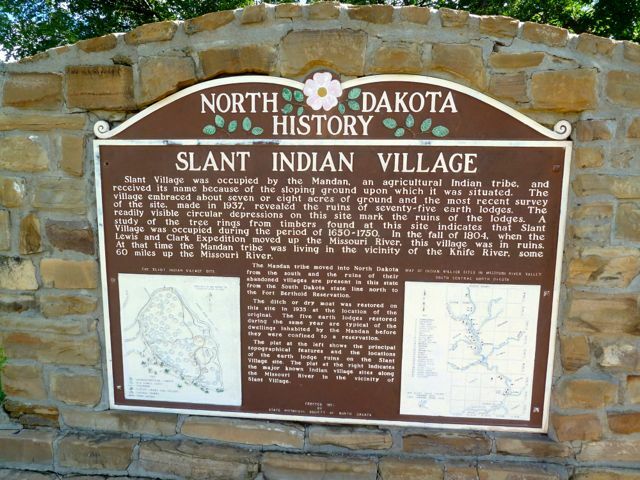 Next to the Visitor Center is a short bridge walk to the Mandan "On A Slant" village established around 1575 on the Heart River and contained around 75 earthlodges with a population of around 1,000. 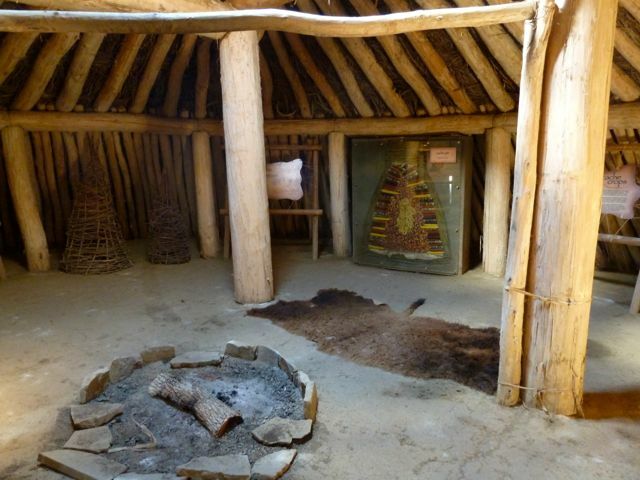 The Mandan lived a sedentary,agriculture life style. 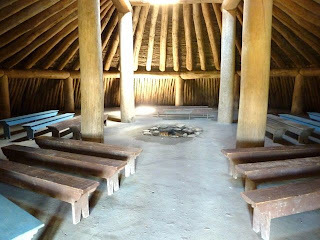 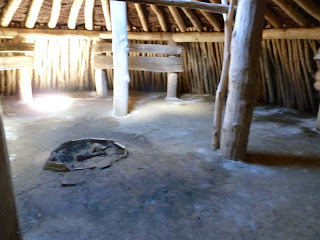 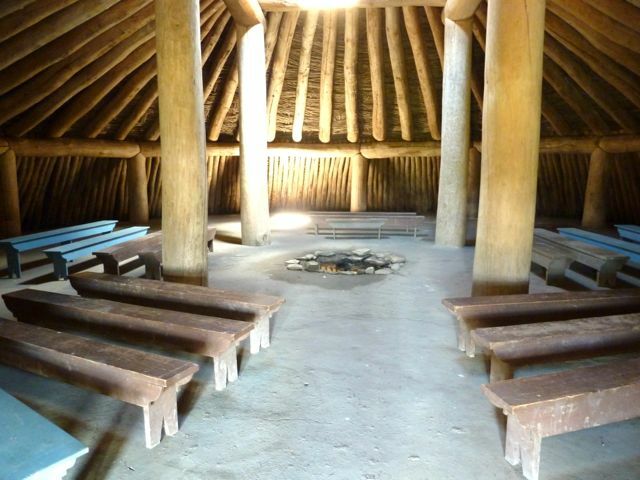 The earthlodges were constructed and owned by the women. 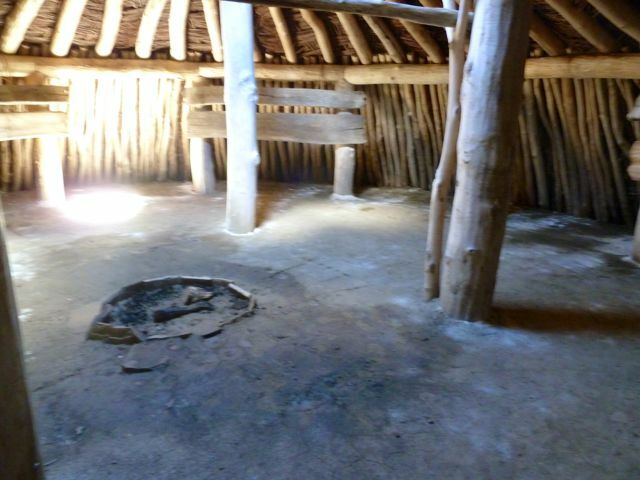 The men hunted and the women tended crops,wove baskets and made pottery. 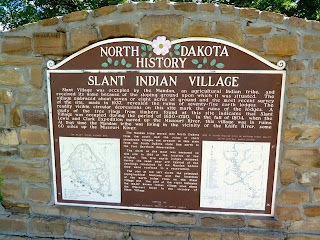 In 1781 a smallpox epidemic virtually eliminated this Mandan tribe.The survivors moved on to the Knife River area. 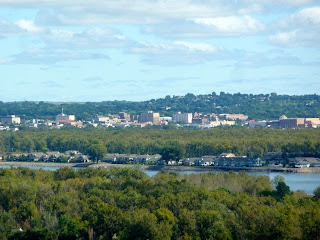 On the way back we drove by the Capitol. 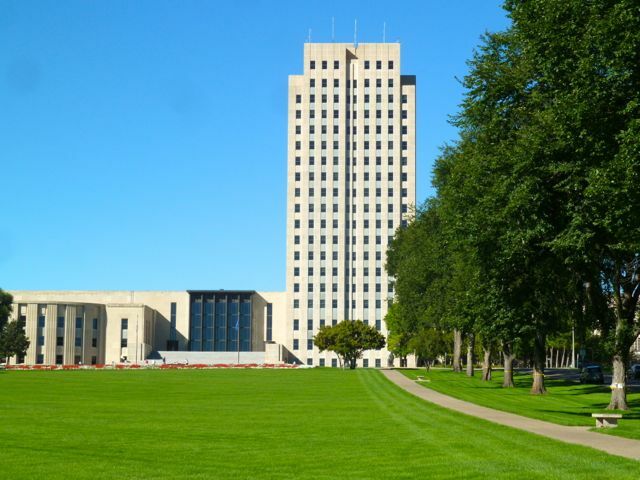 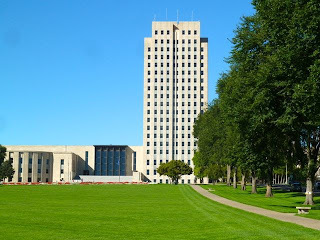 Unusual in design for a capitol.